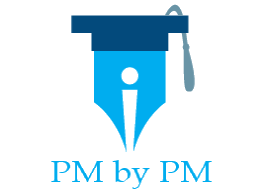 / How much time is required for PMP preparation? Oh! That is easy to answer. Just take a look at any advertisement on PMP Training and you will get the answer. Alas! The answer is not that easy. I am sure you would have seen many advertisements. I have seen my fair share. The claim in each one of them is different. If one goes with these advertisements, then the time required for PMP Preparation could be anywhere between a week to 45 days. How much time is required to get PMP certification after doing 35 hours training? The poll was mostly taken by certified PMPs. You can look at the results of the poll in the figure below. Let us take a close look at the result. The majority (more than 50%) of the respondents felt that the time required for PMP preparation is between 4 to 8 weeks. We can derive another more interesting conclusion from the data – more than two-thirds (68%) of the respondents felt that time required for PMP preparation is less than 8 weeks. This poll also does not give us a definite answer to “How much time is required for PMP preparation?”. But it gives us an indication. Let me elaborate. My views may not represent a true picture since I am a PMP trainer and I did my PMP long time ago. Since then, 3 new editions of PMBOK® Guides have been published. However, I sincerely believe PMP certification can be done in 4 weeks after you have taken the 35 hours training. 4 weeks is not a established hard deadline. The time required for PMP preparation would vary from person to person. Some of you may be able to crack the certification within a week also. And I have seen people doing it within a week. But each person is unique. The educational background, professional experience, available study time, etc. would be different for each person. So you are advised to develop your own study plan and a time-frame. Think like a project manager, estimate the work at hand and prepare a proper schedule. You would gain some understanding, momentum and motivation during the training. Everything would be lost if you delay your studies. If you have not yet taken the training, you should delay the training rather than delaying the exam. Why did you take the PMP training in the first place? You would have a time-frame in mind. And I am sure it would not be 3months or beyond. You should understand the importance of a setting a deadline and you should adhere to it, especially since you are a project manager. If you have already done the training but have not appeared for the exam, you would agree with the above points. But, nothing is lost. You should read about 5 reasons to do PMP training again and write the exam soon. Lastly, there are many benefits of having a PMP Certificate. So it is in your own interest to prepare a time-frame and get the certificate early. All the best. Let me know if you have any questions about the study plan. Please leave a comment and I will be happy to answer. LinkedIn has discontinued the Polls feature on May 15, 2014. The Poll data is no longer available on LinkedIn. I have copied the poll image while the feature was still available. The original poll was available at Linkedin URL. What to do if the exam is already delayed for 2 years from the training date?…Should the training be taken again OR any other idea? You can follow us on our twitter handle PMbyPM. Hi Sir, My husband is PMP and had taken training from you and he is your big fan. He recommended me to take training from you. I just started preparing for PMP. I am electrical engineer working in Samsung Engineering. I am having 5 years of combined experience Pojects and Design of Industrial Projects. Please let me know from which institute I take training and how much time is required for less experienced professional like me for clearing the exam. I think 4 weeks is very less time. Hi, Nowadays, I do only advanced PM corporate workshops. But I will send you contact details of another person through email.